Norfolk Island is a tiny island in the Pacific between Australia, New Zealand, and New Caledonia. 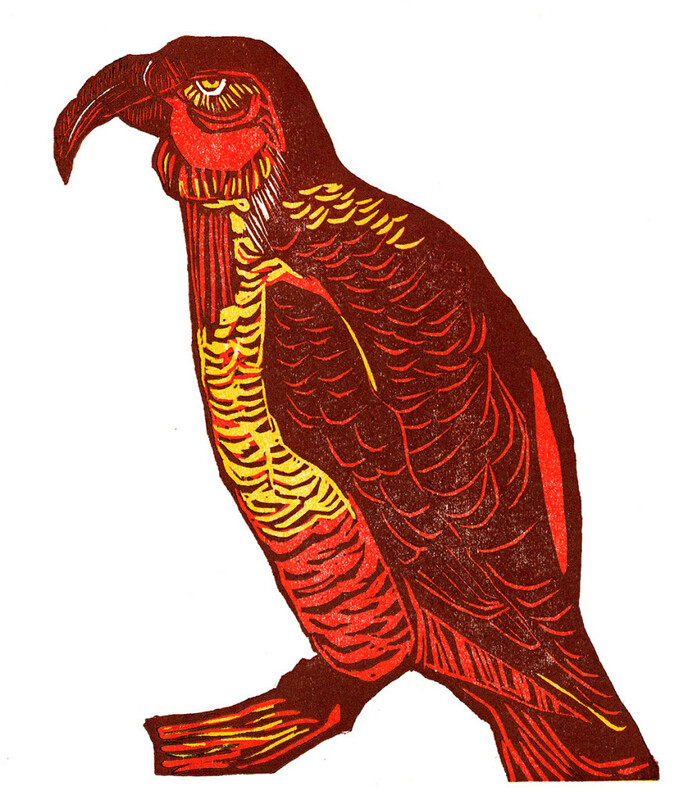 The Norfolk Kaka is a large kind of parrot with a big beak who once lived there. Its closest relative is the Kaka of New Zealand. Captain James Cook, on his second voyage through the Pacific in 1774, brought along the naturalist Johann Reinhold Foster, who was the first to describe the bird scientifically. But before the Europeans arrived, Polynesians had colonized the island and hunted it for food. They disappeared by the 1600’s. English settlers who came in as colonizers in the late eighteenth century hunted it and captured them as pets. The species began to take a nose dive after the island was developed as a penal colony in 1788, and became extinct in the wild in the first half of the nineteenth century. The last bird in captivity died in London in 1851. The Norfolk Kaka was said to have lived both on the ground and in tall trees, feeding on flowering shrubs and trees. Its call was described by English ornithologist John Gould as “hoarse, quacking, inharmonious noise, sometimes resembling the barking of a dog”.